Although our mobile phone is getting more and more multifunctional and many music player apps are available on app stores, sometimes, you still want to use an old-fashioned MP3 player because of its compact and lightweight, especially when you are doing exercise. MP3 players like the iPod Shuffle and SanDisk Clip Jam have built-in clips so you can attach it to your shirt or pants, and position it in a way where your headphones won't get in the way. 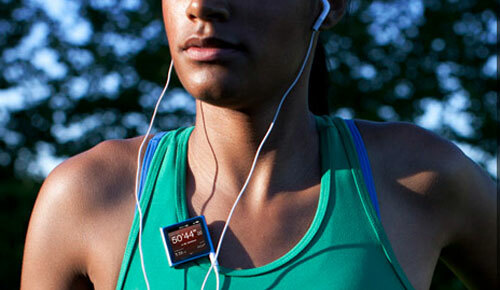 And a supplemental MP3 player eliminates the anxiety of dropping and breaking your phone while on a run or at the gym, not like a phone, which is more heavy and big-size, when it accidentally fly out of your hand and onto the floor, i believe both the screen and your heart will be shattered. As we all know that music is indispensible when we are exercising, but none of the MP3 players are compatible with streaming music services like Spotify. now we will share a tutorial on how to play music of Spotify on MP3 player. Spotify music files are protected by DRM, which is troublesome for people who would like to enjoy Spotify music on MP3 player. 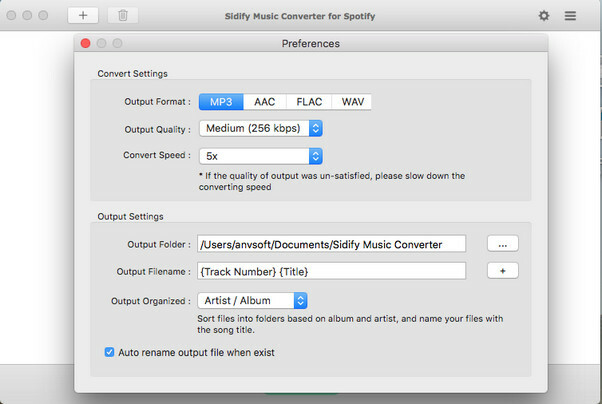 Fortunately, Sidify Music Converter for Spotify can solve the problem. It is a professional Spotify to MP3 Converter aiming to remove DRM protection and make it easier to download Spotify music as MP3 format. Besides, this converter enables to keep lossless quality as original audio including ID3 tags information. The following is a detailed tutorial about how to remove DRM protection and convert Spotify Music to MP3. 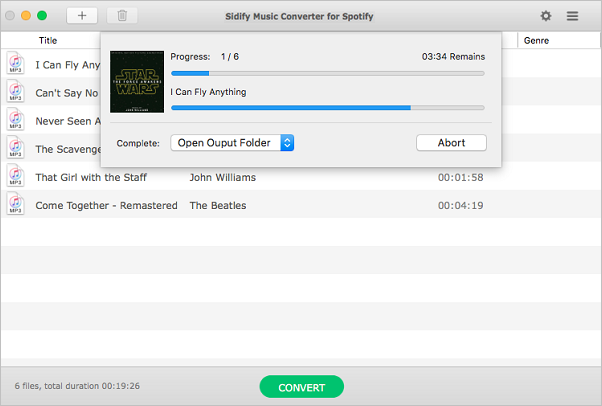 You need to download and install the latest version of Sidify Music Converter for Spotify on your Mac or Windows computer at first. 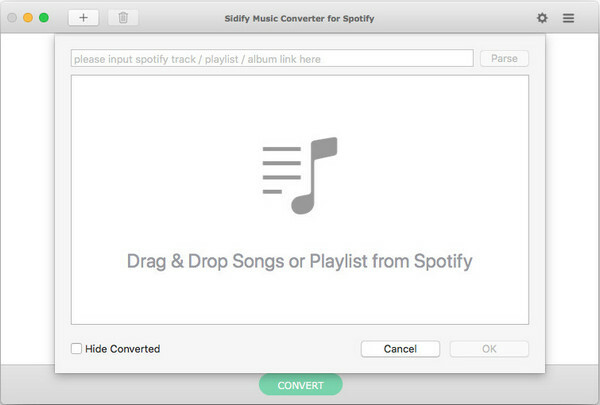 Launch Sidify Music Converter for Spotify, meanwhile Spotify will be opened automatically. Click center of Sidify interface or “+” button on the top-left, then drag or drop the audios you would like to convert to the pop out adding music window, then click “OK”. 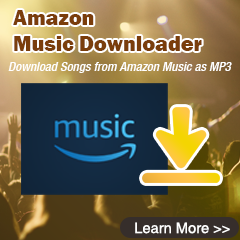 Click the setting button on the top-right and choose MP3 as the output format. You can also set output quality, convert speed and output folder according to your needs. After checking all the settings, click “CONVERT” button to start conversion. 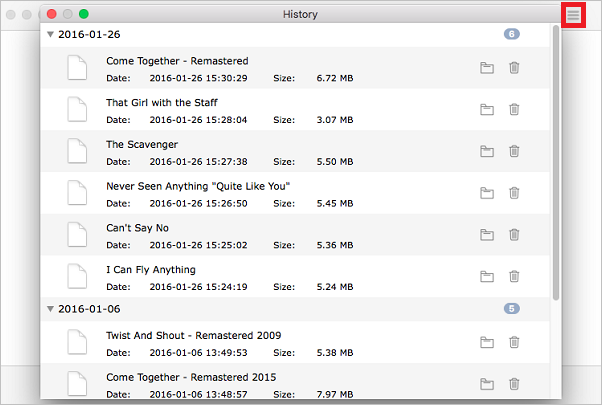 After conversion finished, click the history button to find the converted songs or you can directly open the output folder and move them to your MP3 player. In this way, it becomes more convenient to download Spotify songs as MP3 and you can enjoy Spotify music on MP3 player freely.